BB Naija 2018 ex-housemate getting a lot of attraction from Nigerian artistes now that he has left the BB Naija house. Tedy A was evicted last Sunday and already three artistes have revealed their interest in working with him. 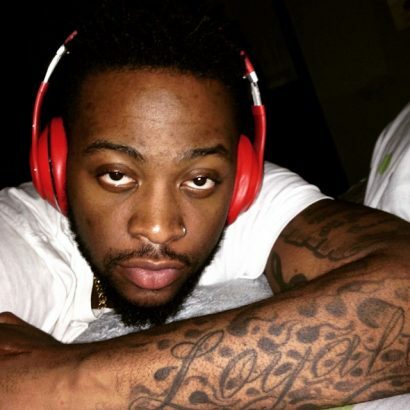 Iyanya Mbuk, ‘Up To Something’ singer, was the first to reach out Teddy A for a possible collaboration. 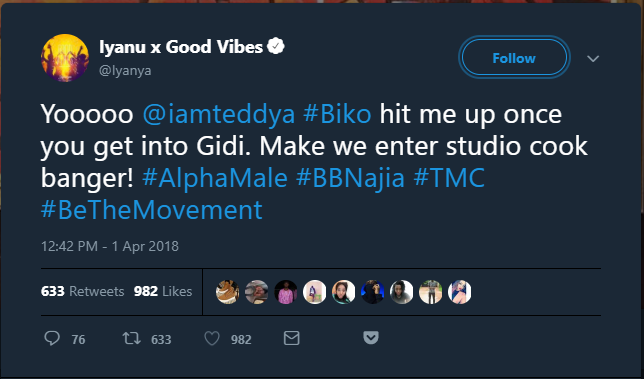 Shortly after his eviction, Iyanya tweeted at Teddy A, urging him to reach out to him when he returns to Lagos. 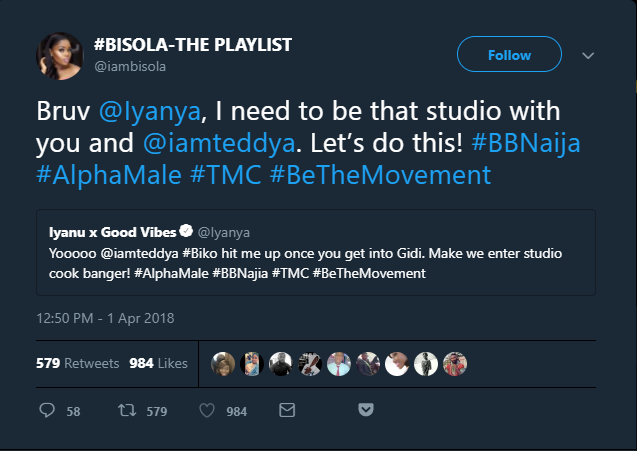 Minutes after Iyanya’s tweet, Bisola Aiyeola, a Big Brother Naija alumnus, signified her interest in being involved in the collaboration. Iyanya and Bisola are signed to the same management company, Temple Management. 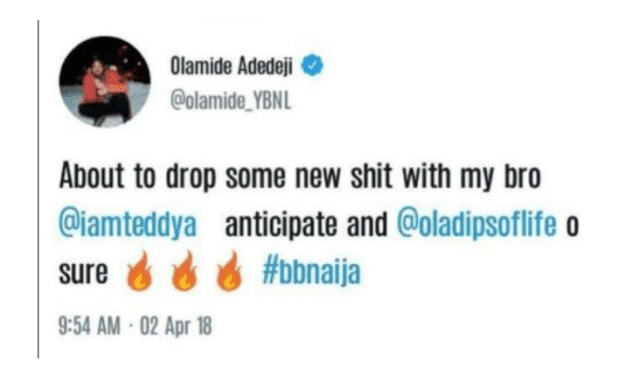 YBNL Boss, Olamide has also revealed that he is working on a new track that will feature Teddy A in it. This just shows that you don’t have to win the prize before you become a star. See screenshots of their tweets.